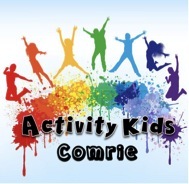 Activity Kids is the new name for Comrie After School Club (part of Western Strathearn Youth Clubs). We are a not-for-profit organisation aiming to support the community by providing safe, fun and affordable activities for children. Currently we run different activities each day (Mon-Fri) from 3-6pm (such as sports, baking, nature detectives, science, art+craft).